We love all things nails….why have one colour when you can have chrome? Click here to discover our award winning beauty treatments Reigate. Call The Nail & Body Boutique, Surrey 01737 242663 now! Surrey’s exclusive beauty and nail salon, the Nail and Body Boutique invites you to a special selection of therapeutic beauty treatments for the face and body. Our fully qualified team of beauty therapists are committed to providing you with an exceptional level of service. We will tailor our beauty treatments to you and offer expert advice on our well-loved range of beauty and body packages. Nail armour like you have never seen before, at The Nail and Body Boutique Surrey. Choose liquid gold, chrome silver or any design you desire with Reigate designer nails. 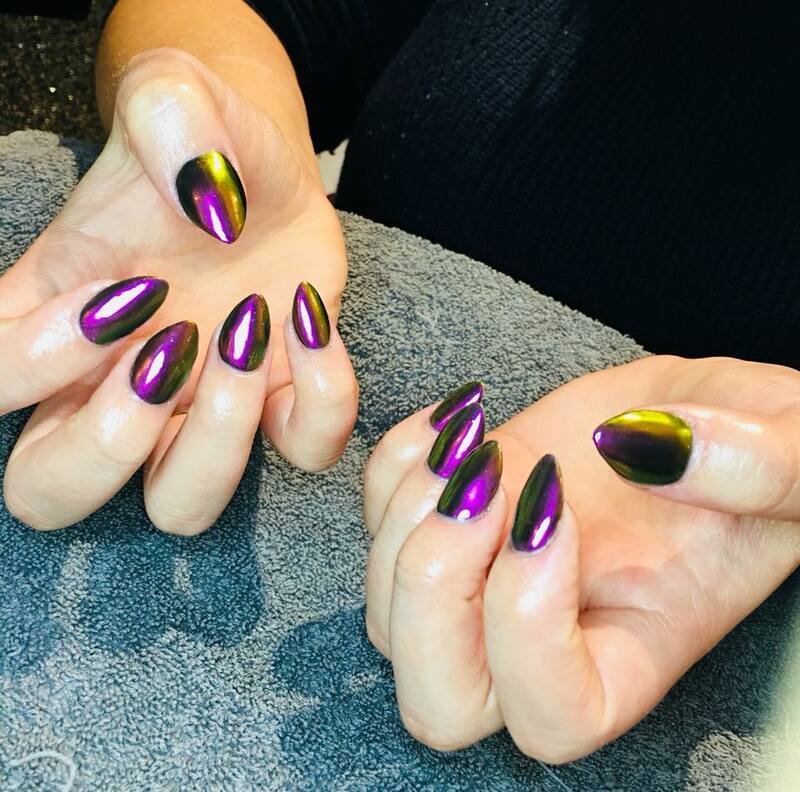 Minx at Reigate day spa in the Nail and Body Boutique, Surrey, is applied over your natural nails will ensure you have a bang on fashion statement straight from the catwalk. Minx will last up to 7 days on fingers and 6 weeks on toes (treatments include file, shape and cuticle work). Add a bespoke finish to your polish manicure, pedicure or acrylic enhancements/overlays at Reigate beauty salon, the Nail and Body Boutique in Surrey. Our beauty salon is located in Surrey, within walking distance of Reigate train station. We are a short drive away from Betchworth, Bletchingley, Brockham, Dorking, Godstone, Horley, Kingswood, Leigh, Merstham, Nutfield, Redhill, Reigate, Reigate Hill, Sidlow, South Park, Walton on the Hill, Reigate Heath and Woodhatch.